Two weeks ago I was on a conference call with about 10 people…all from various other companies…talking about the wonders of whatever it was we were talking about. During that conference call…someone sent me the “Literal Video Version” of the timeless classic Total Eclipse of the Heart by Bonnie Tyler….which, by the way, is the best song ever…and anyone who thinks otherwise hates puppies and is a communist. So, I put my work phone on mute and watched the video on my cell phone…laughing the whole time because it’s really funny. Well…today we had the follow up call…with the same 10 people…reconnecting and sharing our progress. During the call I was reminiscing about the last conference call and got Total Eclipse of the Heart stuck in my head. On most days, I’m pretty good about hitting mute on my phone…so as to not make a fool out of myself…as I am prone to do. Today, however, was not one of those days. I started off just humming along while Bonnie Tyler’s musical gift to the world played in my head…no one on the call could really hear it. Then, as the song starts to build, I started to hum a little louder…until I finally hit the crescendo. With the call facilitator in mid sentence…I belt out…”and I need you more tonight…and I need you more then ever“…. It was at this time the conference call fell to a dead silence. Wondering why the call stopped, I look at my phone and realize, with sheer terror, that my mute button was not lit up. Figuring it best to fess up and admit that it was me…I say into the phone…”sorry everyone…I forgot to hit my mute button…won’t happen again”. Then…much to my suprise…someone says…”I love that song”…and then someone else sings…”turn around”…in a deep voice just like the guy from the actual song. We all got a good laugh and then the call continued…without further interruption. Driving home tonight…I realized those 10 other people on the conference call will probably have Total Eclipse of the Heart stuck in their heads for the rest of the evening…(it really is a catchy song)…and will in turn get the song stuck in several other peoples heads before the night is over. I take solace in knowing my jackassery has started a little chain of events that is no doubt bringing Bonnie Tyler’s magical musical masterpiece to the minds and lips of a few lucky people all over the country. Corey…spreading the joy since 1974. 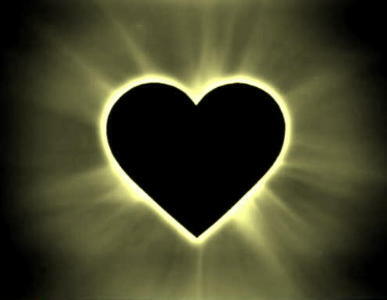 Here is the “Literal Video Version” of Total Eclipse of the Heart…enjoy. ~ by coreysays on February 4, 2010. Seriously…only you….hehe. Thanks for the laugh! HAHAHAHA!!! I Love it! I remember when you were on that conference call….because Corey “spreading the love since 1974” put that song in my head….cause he’s a giver.